On this page you find our resume and CV templates for Adobe Indesign, Illustrator and Photoshop – These kind of templates don’t often come for free, but here they do! 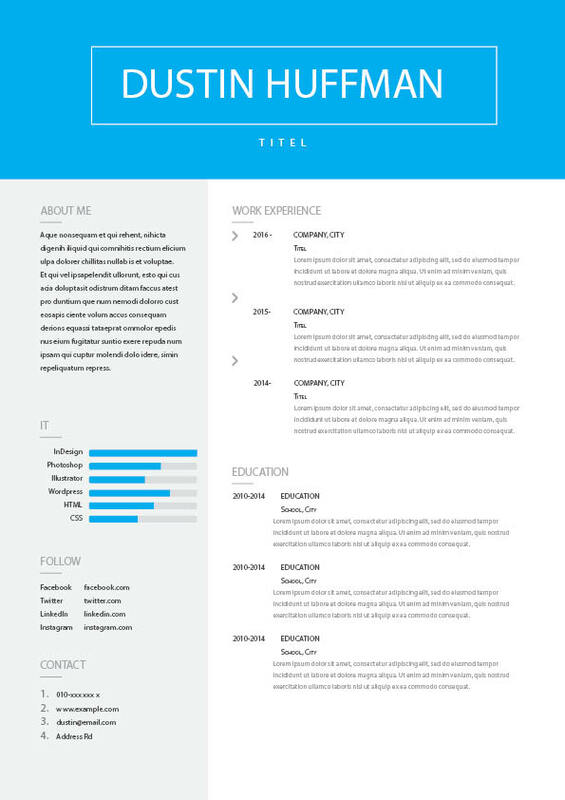 Download and start making a fantastic and impressive job application. 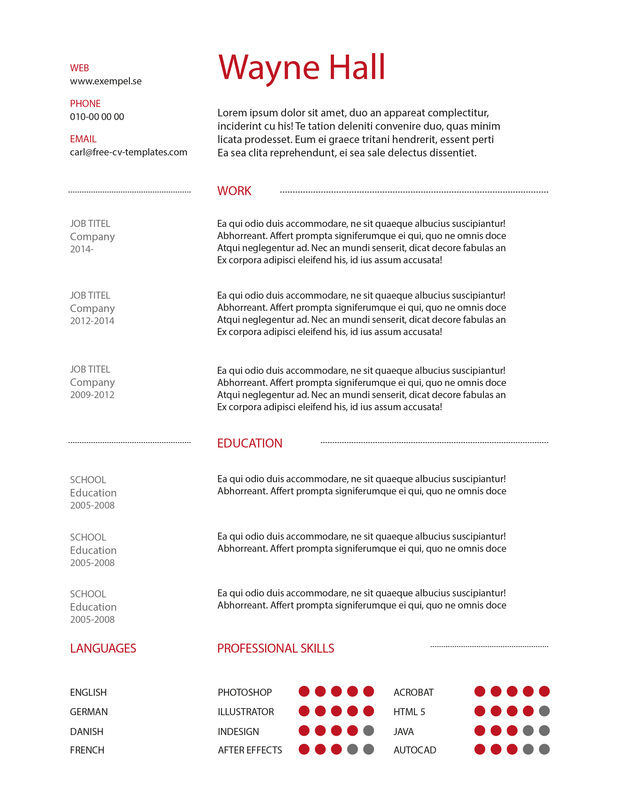 Here’s a free Indesign resume template. Make an impression with a template made in Indesign. 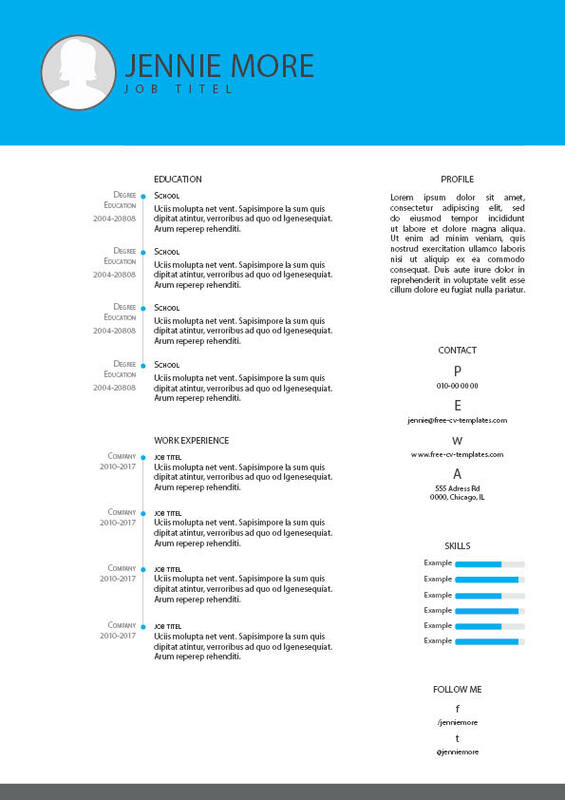 A lovely Indesign template for your CV/Resume. Add an image instead of the blue header for an even better and more dynamic look.